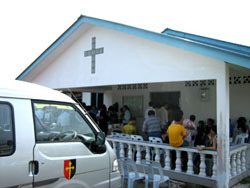 This screening was carried out in the morning of 28th August, 2005 on the invitation of the Anglican Church of Matang. Matang is a village 20 Km from Kuching City Centre. 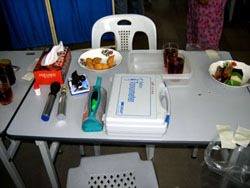 In addition to eye screenings, patients were also screened for hypertension and diabetes mellitus. 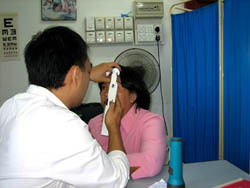 The eye screening covered visual acuity, intraocular pressure and fundoscopy. 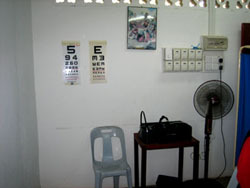 49 patients were seen by the eye team and 18 of these were referred to Sarawak General Hospital for further follow-up mainly for cataract and suspected glaucoma. 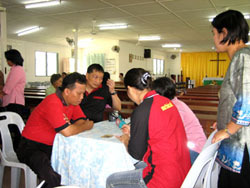 for health screening in Matang Anglican Church. 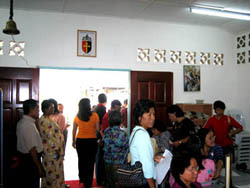 Patients awaiting registration and examination. Patient registration and history taking by staff nurses.